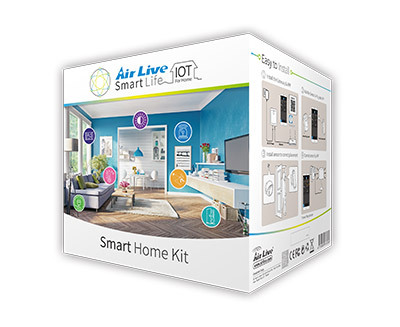 Using the Airlive SmartLife Plus app is the best way to control your Airlive Z-Wave Smart Home system. 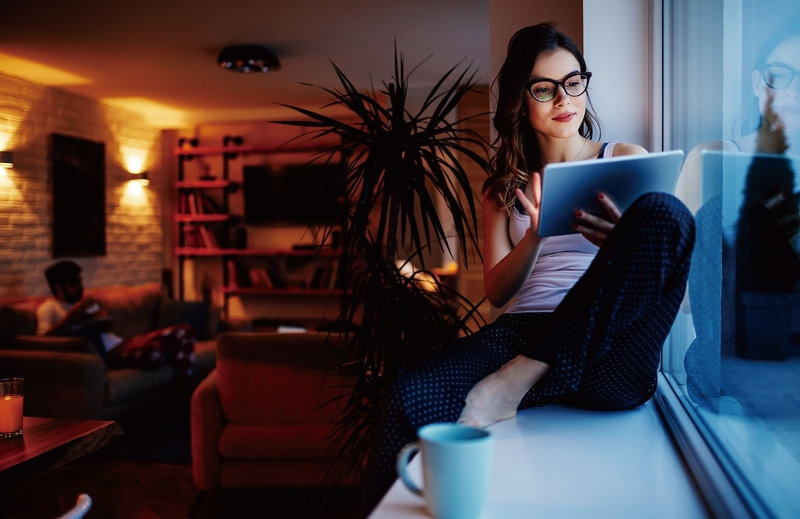 Setup your Z-Wave devices which are connected to the SG-101 Gateway and receive notifications. Make Scenes, Macro's and even setup schedules all is possible with the easy to use APP from Airlive. With the built-in siren the SG-101 can warn you when a sensor is triggered. This can be a Alarm from a PIR, Door/Window sensor or a Macro you setup separately to inform you of a certain situation. The camera will provide continues live-view and also record to your mobile / storage / camera SD card. As the main controller of your Smart Home system the SG-101 in combination with the In-Wall switch and dimmer can control your lights. Turn your lights on before you arrive home or turn them off when you are in the office. All is possible using the Airlive SmartLife Plus App and the SG-101. Dim your lights when watching TV with the push of a button or via Voice Control. 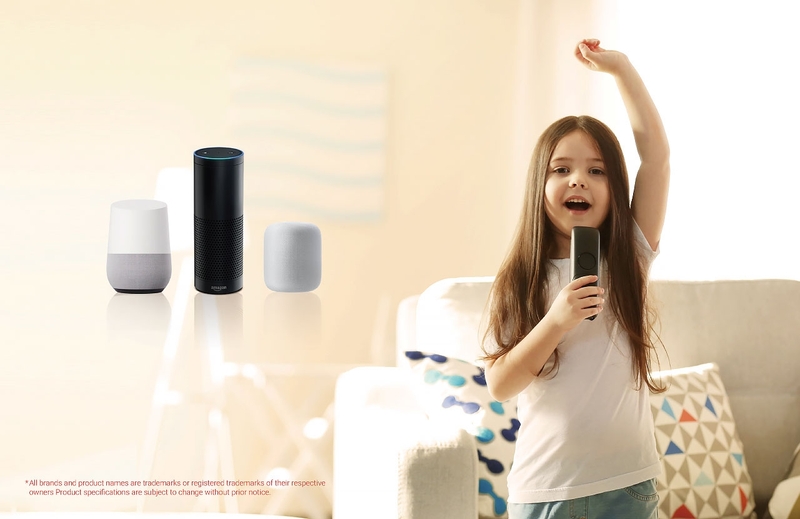 The Airlive SG-101 Gateway supports Voice Control with Amazon Alexa and Google Home / Assistant. Using the Airlive SmartLife Plus App you can make scenes which can be controlled via your Voice. For example turn your lights on by saying "light on" or say "close curtain" and automatically your curtain will close. Voice control will make your life easier. 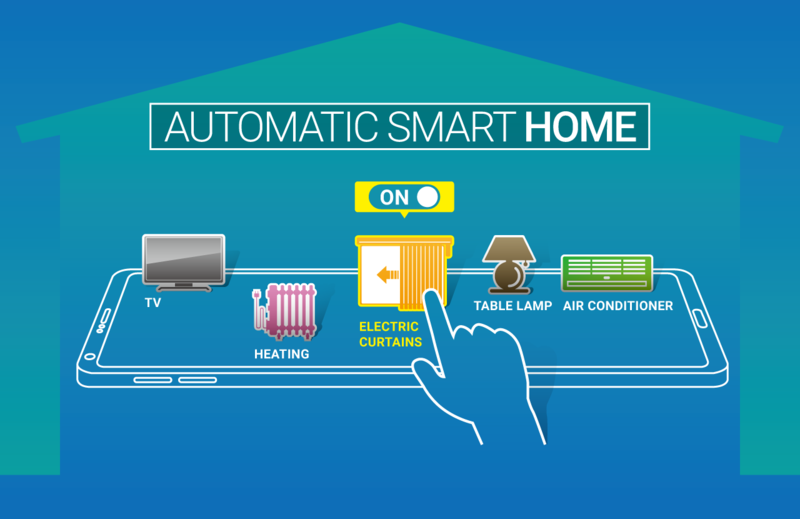 SK-101 Z-wave Smart Life IOT kit including Gateway, 3-in-1 sensor, motion sensor and Smart plug. 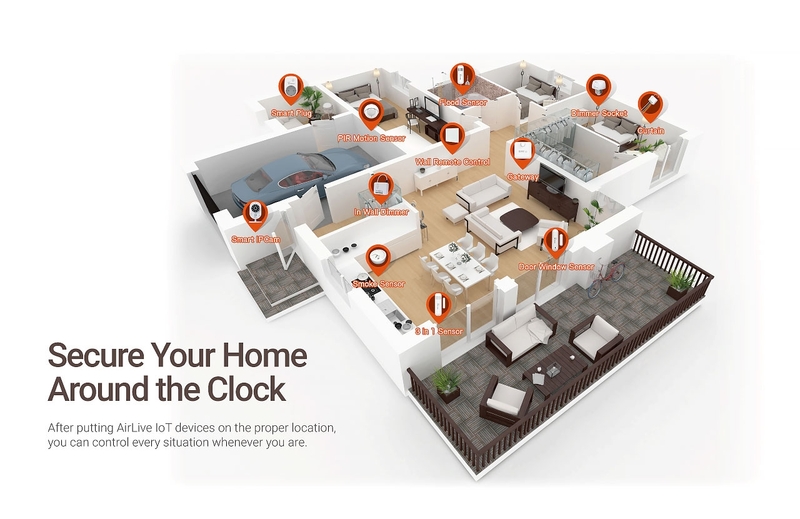 SK-102 Z-wave Smart Life IOT kit including Gateway, 3-in-1 sensor, and Motion sensor. SK-103 Z-wave Smart Life IOT kit including Gateway, 3-in-1 sensor, Motion sensor and SmartCube 300W. 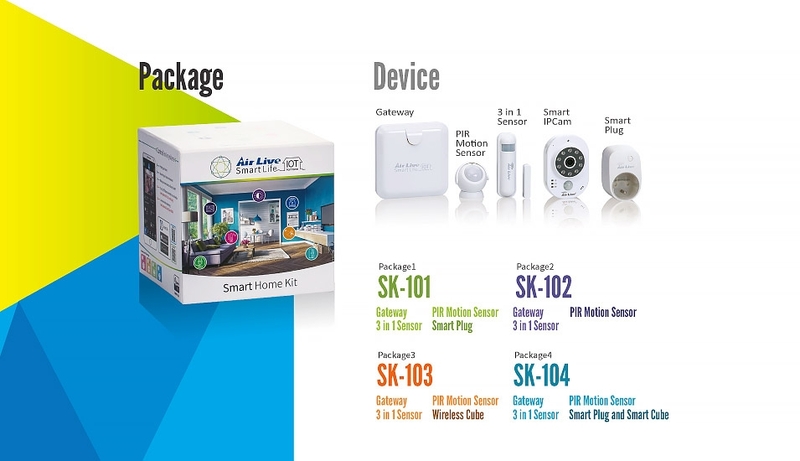 SK-104 Z-wave Smart Life IOT kit including Gateway, 3-in-1 sensor, Motion sensor, Smart plugand SmartCube 300W. What do the green LEDs on the side of the Gateway mean? 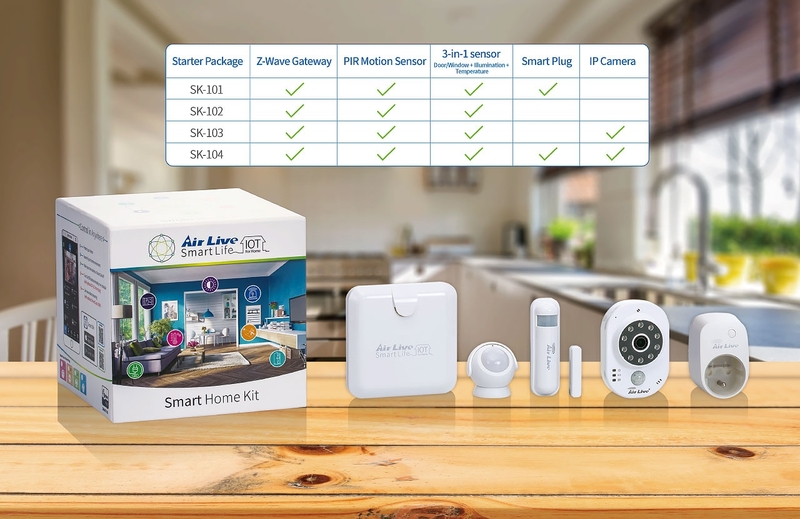 How to operate the Airlive SmartLife APP? How to reset IOT password and configurations? How to reset or remove the configuration from the gateway? How to replace the battery in the SI-101? How do I connect the Smartcube camera to Internet? How to add my Gateway when QR code fail? My Smartplug shows a blue light instead of red light. The European style Smart plug will show a blue color light. The USA style Smart plug will show a red color light.